Dimensions 0.50 by 6.25 by 9.50 in. Amazon.com description: Product Description: There are urban myths about all kinds of different things, but how many of these myths are actually true? This book takes a look at many different myths, exploring their origins and assigning a fact or phony label to each after careful evaluation. 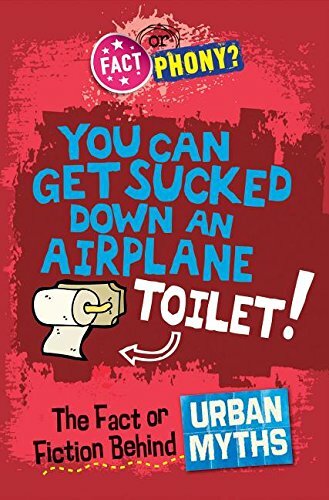 Fun fact boxes and amusing cartoons and illustrations help explore common beliefscan people get sucked out of an airplane bathrooms toilet? Do human fingernails keep growing after a person dies? The only way to find the truth is to keep turning the page! About: There are urban myths about all kinds of different things, but how many of these myths are actually true?